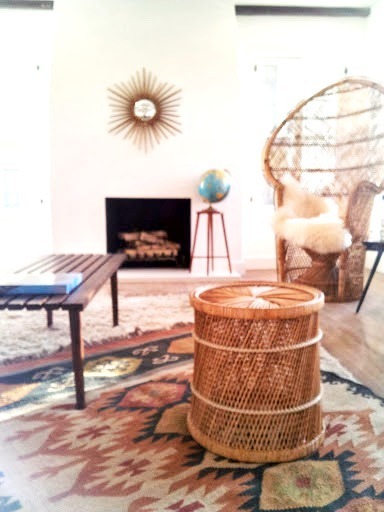 We just staged the sweetest Spanish style duplex in MidCity, one of the hottest new L.A. areas. Check out our pics. 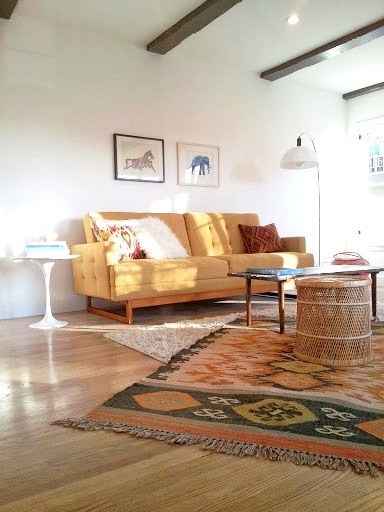 Urban Outfitters’ Either/Or Sofa in mustard yellow brings a ray of sunshine to the room. We scored a bunch of birch logs from a client who had buckets full of them in their yard. 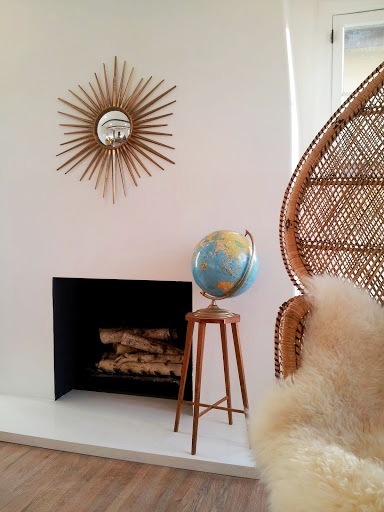 A vintage globe on top of a handmade table makes a sculptural hearth-topper. Our Saarinen tulip side table knockoff is topped with marble just like the real-deal. This thrifted basket can be an ottoman or a handy firewood basket when flipped over — or, really, whatever you want it to be. 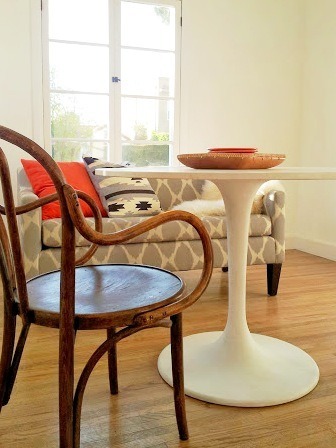 We found the slat coffee table at an Echo Park vintage store, and the peacock chair for just $40 at a thrift shop! 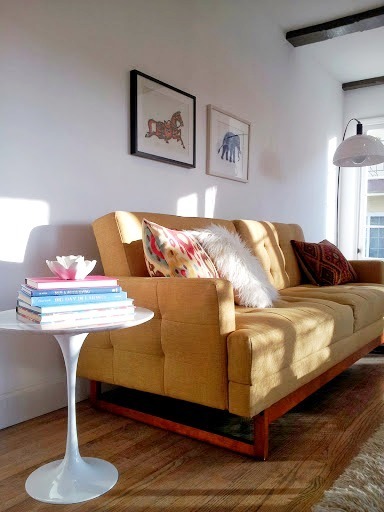 West Elm’s linen flax settee (now discontinued in this ikat fabric) makes fine seating with a bentwood chair and an IKEA DOCKSTA.